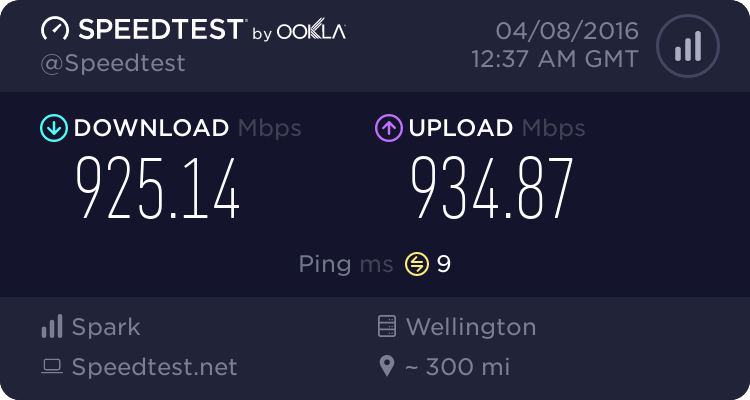 Possible to keep xtra mailbox/address and switch to another ISP? Forums › Spark New Zealand › Possible to keep xtra mailbox/address and switch to another ISP? quickymart: Orcon used to do free-for-life e-mail addresses, not sure if they still do tho (my guess is no?). They do - this was discussed on here a few days ago. In all reality though there is absolutely no reason why anybody should need to, or should want to use an ISP email address these days when there are so many options to have your own domain and email address for life for $10 - $20 per year. Who do you recommend for domain registration and email forwarding, oh CEO of Biddlecorp? pjamieson: Telecom/Xtra used to do a "Hosted Mail" plan which was $2.50 per month, just for a mailbox. Check if they still do this. When it was available, it was $2.81/month. The business rules have now changed so that it costs $10/month, which is fair enough - printing and delivering the bill must cost about $3 each time. Or throw some money at a NZ Domain name provider rather that Go Daddy who's CEO likes to kill elephants. I personally use Actrix since I have been with them pretty much since the beginning (I think I registered with them in 92 for a uucp & dialup acct ahh those were the days :) they are about $10 more expensive than most other NZ registras but dealing with someone friendly on the phone is worth the extra $10. But there are plenty who will do a .co.nz for ~$30 and in the grand scheme of things less than $40 per year is peanuts. Not that I have ever needed to call them since all I have left with them is the domain registration. Host it all on Google Apps for free. Easy. tardtasticx: Yes you can, its $10/month for each @xtra.co.nz email address. Geez that is costly. You can buy a domain and get email hosting way cheaper, and that way you have an email address for life. We just left some time ago and still have it. Haven't paid a bill in some time. They never told us there would be a fee. for some reason I still have my xtra mailbox 4 years after leaving xtra. i check it from time to time it still has a few newsletters subscribed. it might be kept alive by yahoo mail. i don't know for sure. hangon: for some reason I still have my xtra mailbox 4 years after leaving xtra. i check it from time to time it still has a few newsletters subscribed. This sounds like the most likely reason, I am quite sure it doesn't have the premium features but it definitely still works (for me, at least). I swapped from Xtra to Slingshot about 2 years ago and my xtra email is still working. I can still access it from web and pop and send email via xtra's smtp servers. I have not paid a cent to Telecom.